This Situation Update describes events that occurred in Kleh Muh Htee [village tract], K’ser Doh Township and M’saw [village tract], Ler Muh Lah Township, Mergui-Tavoy District. It includes information about the health conditions of internally displaced people (IDPs), corporal punishment in local schools, lead mining, drug use, logging and land confiscations. Teachers in K’Ser Doh Township have been giving out corporal punishments to their students, raising concerns in the local community. 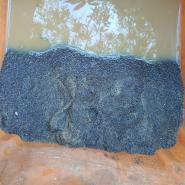 Lead mining has contaminated streams and rivers throughout Mergui-Tavoy. Rural populations are dependent on them for their water supply. In 2018, drug use is becoming more widespread throughout Mergui-Tavoy District, due to weak enforcement by the national authorities. In 2017, a former KNLA soldier started a logging business in Maw Nee village, without the consent of the local community. This has caused heavy deforestation in the area. The Asia World Company confiscated land from local villagers in M’Saw to develop a palm oil plantation. They did not provide proper compensation. Many households remain displaced. The following Situation Update was received by KHRG in March 2018. It was written by a community member in Mergui-Tavoy District who has been trained by KHRG to monitor human rights conditions. It is presented below translated exactly as originally written, save for minor edits for clarity and security. 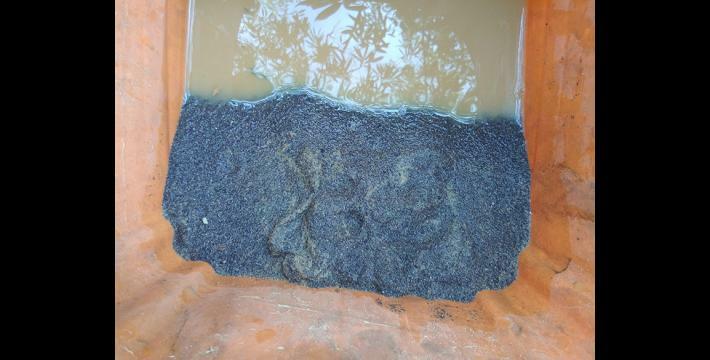 This report was received along with other information from Mergui-Tavoy District, including 17 photos. [A number of local villages are host to significant numbers of IDPs, including] Maw Nee, Htee Klee Sa, T’Mah Wah, Htaw T’Lee, Htoo Maw and Ler Say Hkee in La Baw village tract area, K’Ser Doh Township, Mergui-Tavoy District. They are located in a mountainous area distant from any of the nearby towns. IDPs require holistic support. However, healthcare services are not available in these villages. These communities find it challenging to access healthcare because of the long distance to nearby clinics and the poor conditions of the roads. During the rainy season, these communities have to pass over three rivers to reach the nearest health clinic, passing through P’law Kloh, Maw Nee and Hkeh Ma villages. They depend on local boatmen to take them over these rivers. There is only one high school in Aeh Aeh village, Aeh Aeh area, K’Ser Doh Township, Mergui-Tavoy Township. It has many students and teachers who come from nearby villages. The majority of students are [ethnically] Karen. Some teachers are Bamar [ethnically Burmese]. In the 2017-2018 academic year, teacher U--- physically beat students who could not follow his lesson. A standard eight student, Saw V--- said that this teacher hit him when he could not follow the lesson. [He hit him so hard that the skin on his leg broke, creating a laceration]. So far, this wound has not healed because of the strength of his teacher’s blows. [Corporal punishment is also common in neighbouring schools]. Some teachers in La Baw village, Kleh Muh Htee, K’Ser Doh Township, were also accused of hitting students. [In addition to the issue of corporal punishment, there is an inequality in access to education in this area]. There are 47 households in Ng’yah Aye village, M’saw area, Ler Muh Lah Township, Mergui-Tavoy District. Most of these households are displaced families who resettled in Ng’yah Aye village after the Asia World Company confiscated their land in 2000. The Burma/Myanmar government did not take action to provide education to these households. The community self-funded a primary school in order to provide education to their children. In 2018, there were 6 teachers and 67 students in this school. The community had to pay 50,000 kyat (US $ 34.6) to each teacher as a monthly salary. Many parents struggled financially to afford the cost of the teachers’ salaries. 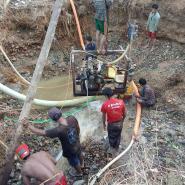 In January 2018, many lead mining operations took place in Maw Nee, Htoo Maw, Htee Klee Sah, T’Mah Wah and Htoo Maw villages in Kleh Muh Htee, K’Ser Doh Township. [In these instances,] the workers who were running the lead mines were not locals. They did not ask for permission from the local village leaders [to mine for lead in this area]. Instead, they received a permission letter from the Karen National Liberation Army (KNLA) Battalion #12. [In total,] there are five lead mining machines. 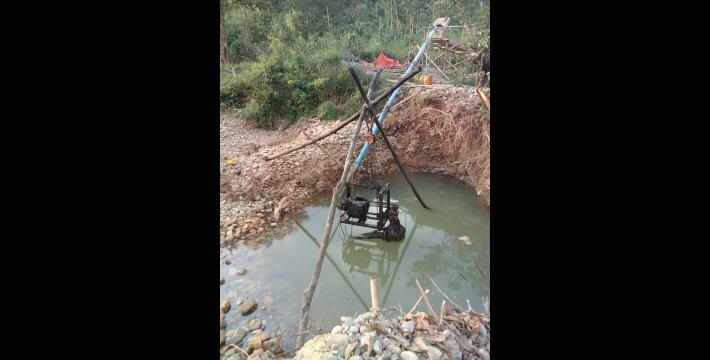 The lead mining workers have to pay a monthly tax of about 100,000 kyat (US $ 69.1) per mining machine. 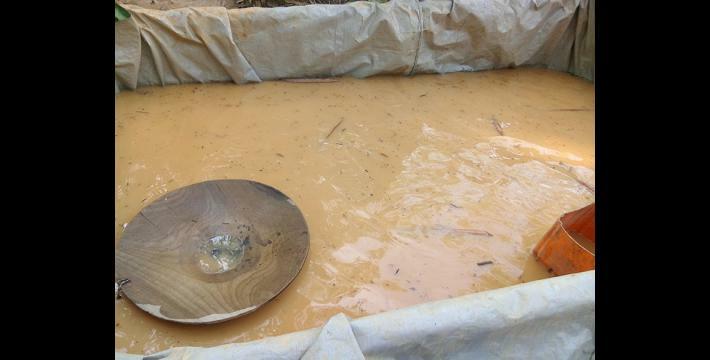 The KNLA Battalion #12 is receiving a monthly tax of 500,000 kyat (US $ 346) from these mining operations. [In some places,] the lead mining operation was located near the source of local streams. 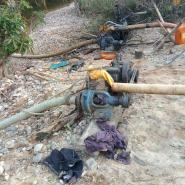 This caused the water to be contaminated, creating challenges for the villagers who depend on the stream for their water supply. 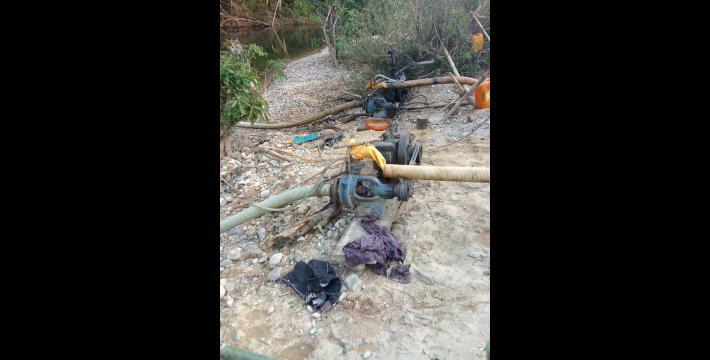 Local community members reported this case to the Township leaders and the KNLA Battalion #12 commander. 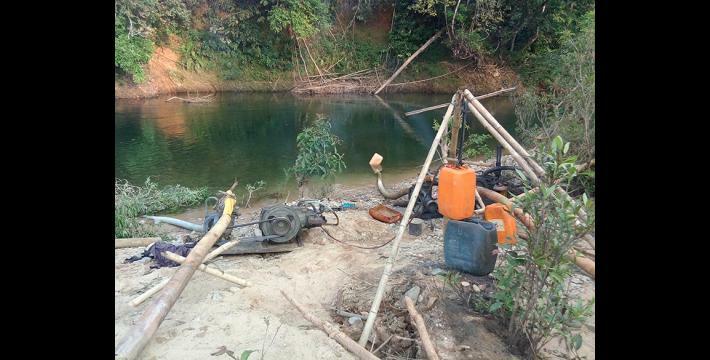 According to a local villager, the [KNLA Battalion #12] commander resolved this problem. 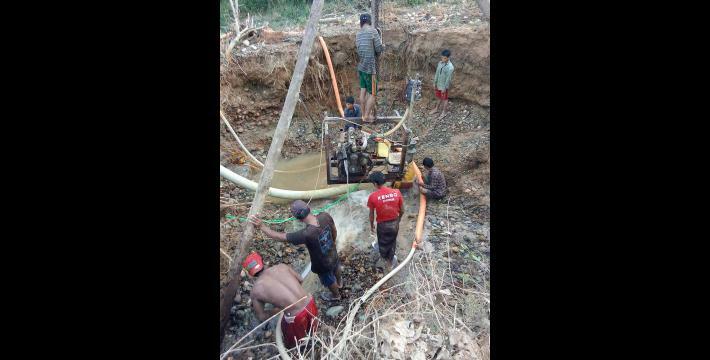 The Tavoy Paung Si Company [has also] tested the lead deposits [in the local area] to evaluate whether it will start mining operations. [As of mid-2018,] it has not yet started mining for lead in the area. The Tavoy Paung Si Company proposed to start mining for lead in two areas: Operation Section #1, covering 39.5 acres of land, and Operation Section #2, covering 49.5 acres of land. 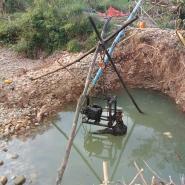 Mining is widespread in Mergui-Tavoy District. The Nay Htet Hsu Company is mining an area of 9,331 acres. The Shole Dinki Company is mining an area of 6,000 acres. [In addition to this, a huge expanse of land in the same area was designated as a reserved forest by the Burma/Myanmar government]. The reserved forest covers an area of 25,773 acres. [Because the mining operations and the newly designated reserved forest, the local community has less access to land for agriculture and grazing purposes]. 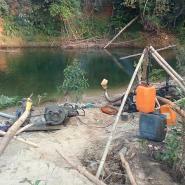 According to the village head of Maw Nee, this issue was already reported this to the chief liaison of Mergui-Tavoy District. The forest areas in the La Baw, Aeh Aeh, and Th’Nyaw Hsee village tracts are being logged for timber. In 2017, the KNLA soldier Saw Shee was involved in logging. He is originally from La Baw village, but lives in Maw Nee village, La Baw village tract, K’Ser Doh Township. Soon after his move to Maw Nee, Saw Shee wanted to log wood to construct buildings for the village and build himself a house. After the local villagers gave him permission to log wood, he did not do as promised. 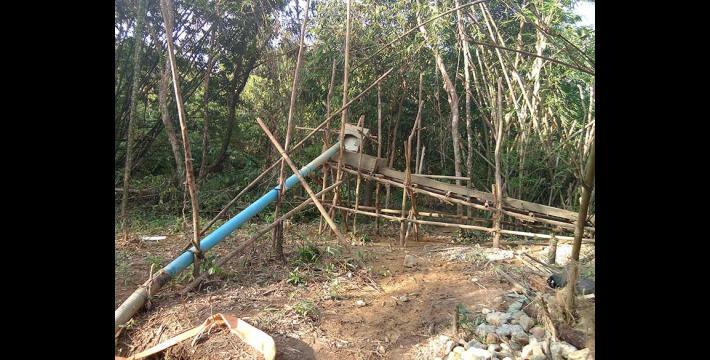 Rather than constructing buildings for the village, he started running his own logging business. He gave very little timber for buildings in the village. Instead, he logged large amounts of timber transported it to the P’Law town. His logging operation did not benefit the local community in any way. 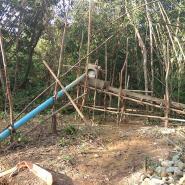 A community member said that Saw Shee is logging for his own benefit - not the [benefit of the] local villagers. Large amounts of timber were transported to the town, yet no new buildings were constructed in the village. Similarly, a villager [from a rich family] from P’Taw Hpa Doh village, Th’Nyaw Hsee area, K’Ser Doh Township requested permission to log the forest [surrounding Maw Nee village] from the Township police and the Forestry Department of the Burma/Myanmar government. He did not ask for permission from the local villagers. Even though the local community did not want him to log their forest, they were afraid of telling him that. A local villager said, “We do not want him to log [the forest] but we do not dare to tell him”. He perceived that the logging would not be beneficial to the local community. 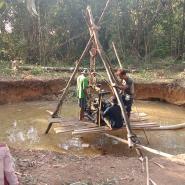 Many people came to Maw Nee village [to look at the logging potential in the area]. They did not inform the local village leaders about their intention. 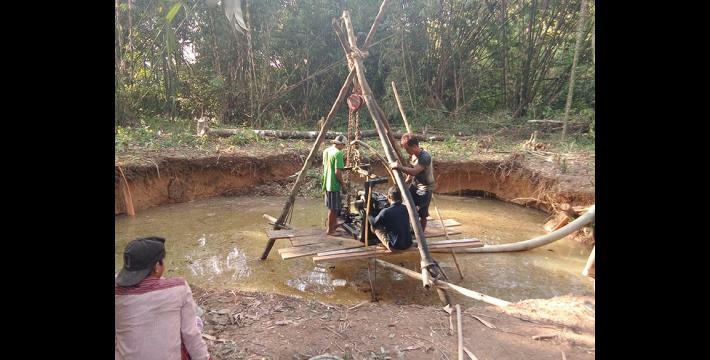 In 2017, businessmen from Japan and China, as well as a retired Tatmadaw major, examined lead deposits around Maw Nee. When they were asked to meet the village leaders, they refused to do so. The local community believes that these outsiders came with the permission of Saw Shee. They would often visit Saw Shee’s house to rest. They believe that the outsiders [who come to visit Maw Nee] rely on Saw Shee because he is a KNLA soldier. Not informing the village leaders about who is going in and out of the village is a breach of local security procedures. The Asia World Company confiscated the land of local villagers in Ng’yat Ain village, Ton Pyaw Kyi village and Ban Met village in M’Saw are, Ler Muh Lah township. [These villagers had already been displaced by the Tatmadaw]. In October 1997, the Tatmadaw forced local villagers from their homes, [resettling them on] land close to the road to Mergui-Tavoy town. Three years later, the Asia World Company confiscated the lands that had been seized by the Tatmadaw. The company cleared grazing lands and plantations. After that, they planted palm oil trees on those lands. The local community was afraid for their safety. They did not dare to confront the company because it was granted permission to use these lands by the Tatmadaw. The company provided compensation to the local community for lands that were damaged [due to the palm oil plantation]. However, this compensation was less than a third of the value of the confiscated land. Local villagers tried to report this case to the Karen National Union (KNU) authorities and the Burma/Myanmar government. However, [as of March 2018], they did not receive any response from the authorities. During the reporting period, there have been some improvements in the field of education, healthcare, transportation and development in Mergui-Tavoy District. There has been a decrease in military activities. However, certain challenges remain. Natural resource extraction and military activities have impacted the livelihoods of local communities. 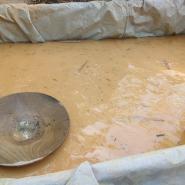 Land confiscation and pollution by lead mining have damaged the water supply of many communities. This illustrates the broader tensions surrounding development in Southeast Myanmar. Villagers are worried about the impacts of corporate development projects on the environment and on their livelihoods. All conversion estimates for the kyat in this report are based on the July 26, 2018 official market rate of 1,445 kyat to US $1. Yaba means ‘crazy medicine’ in Thai, is a tablet form of methamphetamine. First developed in East Asia during the Second World War to enhance soldiers' performance, methamphetamine has become increasingly popular in Thailand, Laos, Cambodia, Vietnam, and Burma/Myanmar where it is typically manufactured. See, Yaba, the 'crazy medicine' of East Asia, UNODC, May 2008; Chapter IV in Truce or Transition? Trends in human rights abuse and local response in Southeast Myanmar since the 2012 ceasefire, KHRG, June 2014; “Thaton Situation Update: Bilin Township, July to September 2016,” KHRG, April 2017; and “Dooplaya Field Report: A quasi-ceasefire? Developments after the Nationwide Ceasefire Agreement, from January to December 2016,” KHRG, September 2017. Asia World is a Burma/Myanmar company with significant investments in the shipping industry, infrastructure, and plantations in Myanmar. It is known within Burma/Myanmar as Shwe Swan In. Asia World and its additional companies owned by Myanmar national Stephen Law were added to the US Sanctions list in July 2016 due to their historic and continued links to the Burma/Myanmar military regime, see “US extends sanctions, further targets Asia World,”Myanmar Times, May 17th 2016. KHRG analysed the impact of Asia World and other private company’s roles in development in Chapter 6: Development, “Foundation of Fear: 25 years of villagers’ voices from southeast Myanmar,” October 2017, KHRG. In KHRG’s operation area of Toungoo District, Asia World constructed a hydroelectric dam resulting in damage to villagers’ land and the relocation of villagers, see “Toungoo Interview: Saw H---, April 2011,” KHRG, September 2012 and continue to develop on land traditionally used by villagers, see “Toungoo Field Report: Slow transitions towards real change, January to December 2015,” January 2017, KHRG. Additionally, in Mergui-Tavoy District, Asia World confiscated villagers’ land for plantations, see “Mergui-Tavoy Situation Update: Ler Muh Lah and Ta Naw Tree Townships, January to June 2015,” KHRG, October 2015.